The Big Beastly Adventure aka 2 Fat People in an RV: Another Mystery Solved! The good news is that I've discovered where all the socks go when they disappear from the dryer. Down here in Texas, everything is big but what we saw last week made my jaw drop! They call them “Ropas” which is Spanish for clothes. That is an understatement!!! These are massive warehouses that are filled almost to the ceiling with clothes. 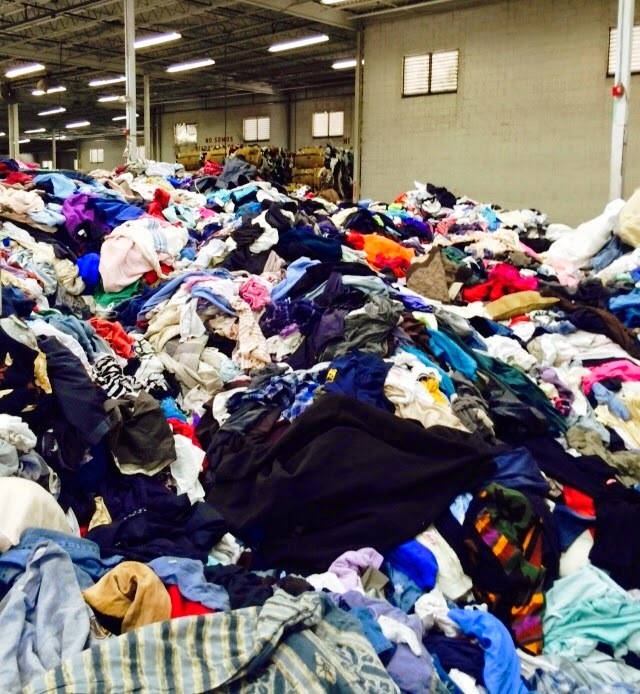 People scale these mounds of clothes like they are crawling up Everest. When you have a pillow case full (you have to bring your own pillow case), they weigh the clothes and charge you by the pound. 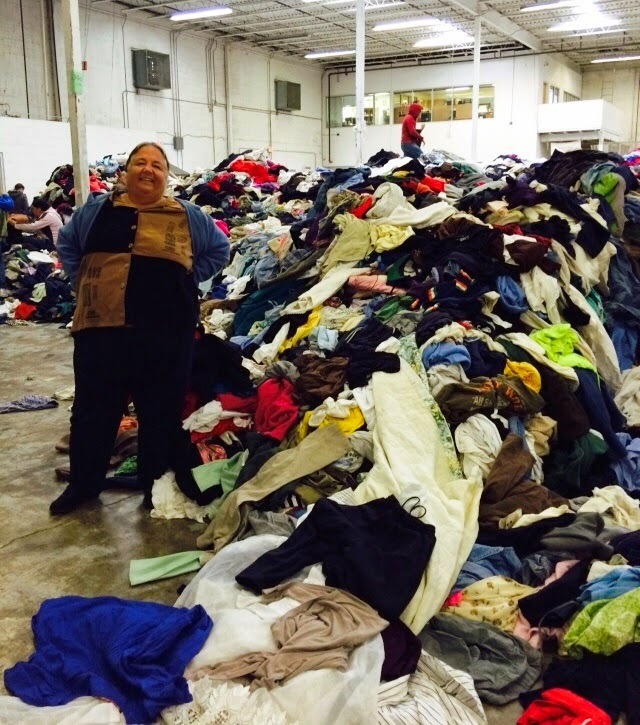 Most is 25 cents a pound but the really high end stuff can go as high as 60 cents – depends on the pile you climb. Oh yeah – and you get a 5 cent discount if you wear your badge. So, if you have the agility of a billy goat, a high tolerance for the smell of dirty clothes, a name badge and 20 cents, you too can outfit yourself for the foreseeable future. Just don’t expect to find your old socks. Well that is pretty cool !! !